The Lanier Ford law firm is pleased to announce that, on January 24, 2018, Lauren Houseknecht and Lauren Smith became shareholders in the firm. 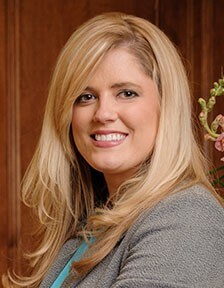 Graduating from the University of Alabama Law School in 2011, Ms. Houseknecht has been an associate since the fall of 2011 when she was admitted to the Alabama Bar. Ms. Houseknecht’s practice is centered on the defense of hospitals, physicians, nurses, and long-term care and assisted-living facilities in professional liability cases. In addition to professional liability litigation, she has experience in products liability cases and has defended trucking companies, insurance carriers, insureds, and businesses in injury-related lawsuits. She received her B.A. from Auburn University in 2008. Ms. Smith has been an associate since March 2015. 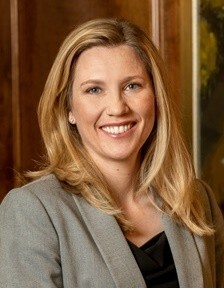 Her practice is centered on the representation of businesses and municipalities in a wide range of litigation matters, including employment discrimination and retaliation, contract and lease disputes, shareholder derivative actions, and police civil-liability lawsuits. She has represented municipalities, governmental officials, and private-sector entities in tort litigation brought under Alabama and federal law, including claims brought under 42 U.S.C. § 1983, Title VII of the Civil Rights Act of 1964, the Family Medical Leave Act (FMLA), and the Americans with Disabilities Act (ADA). Ms. Smith received her law degree from the University of the Pacific (Sacramento, California) in 2008, after receiving her B.A. from California Polytechnic State University (San Luis Obispo, California) in 2005. She was admitted to the Alabama bar in 2008.